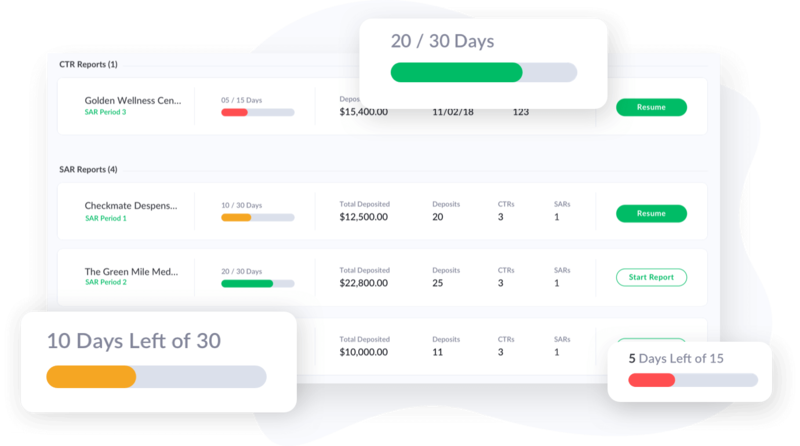 Use Green Check to easily open and manage accounts with this rapidly growing industry while reducing risk with ongoing monitoring. average annual revenue of a regulated cannabis business. of regulated cannabis businesses are profitable. plant-touching businesses currently operating in the US. Our team will put you in touch with compliant cannabis business owners who are looking for a banking partner. Review their application and conduct enhanced due diligence directly through the Green Check platform. 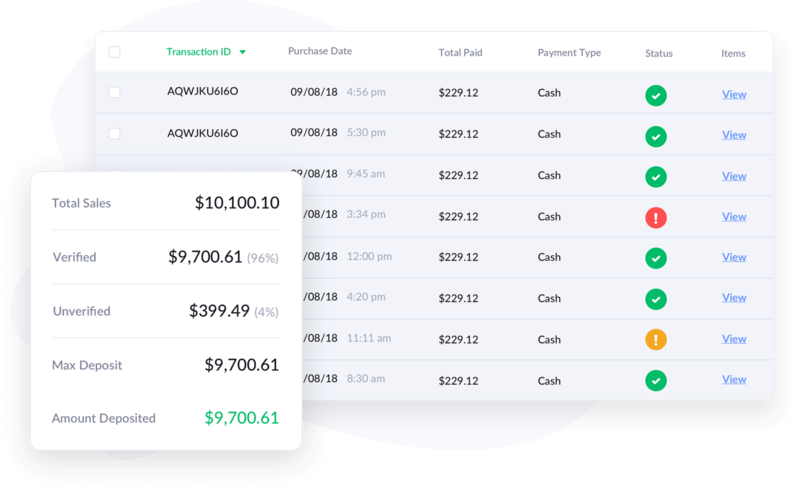 Green Check gives you access to sales data for all of your cannabis business accounts, clearly documenting the source of all funds they deposit. Any potential violations and suspicious transactions are flagged and explained, so you will be immediately aware of any risks that may emerge. Our reporting tools give you everything you need to manage your reports for your internal team, your board, or regulatory agencies. Green Check’s automated system will let you know when and how you need to file reports, simplifying your workflow. 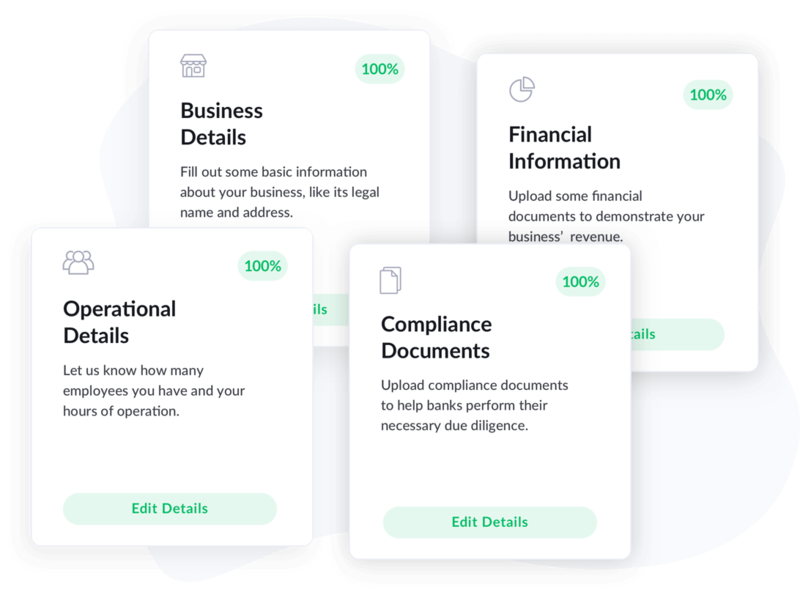 Green Check's cohesive compliance management tools create 3 lines of defense for financial institutions deploying a cannabis banking program. Establish and maintain control of the entire cannabis banking program, ensuring it remains in line with your organization's goals. Easily identify and measure risk exposure with unparalleled insight into enhanced due diligence, state and local rules, and ongoing operational visibility into the organization and its customers. Structured monitoring and reporting of program and account activities through dedicated oversight tools highlights opportunities for improvement, making audits and exams easier. With Green Check, your cannabis business accounts will become the most transparent accounts in your portfolio.